General Federation of Nepalese Trade Unions GEFONT Gandaki Province Women Workers Gathering has been concluded. Gathering has formed 11 members GEFONT Gandaki Province Committee under the Convenorship of Sangita Pandey. 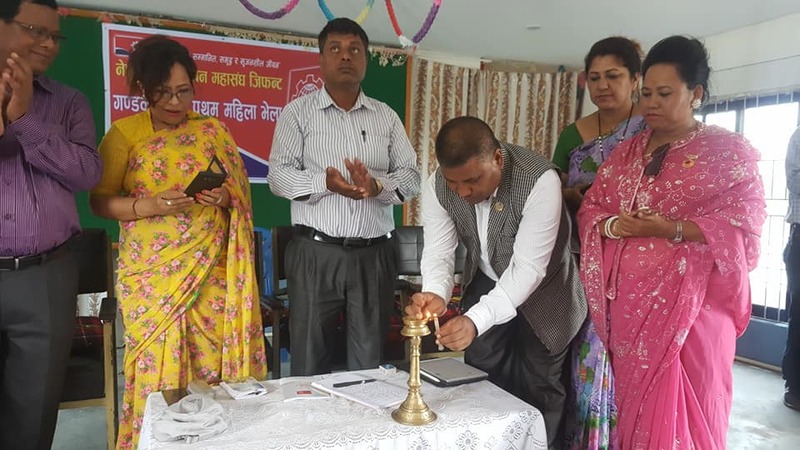 Addressing the Gathering President Binod Shrestha said "In Initial phase it was very difficult to organise women in the Trade Union, but now more than 33% women in the leadership and women involvement is encouraging that helped to strengthen the movement." He further added " GEFONT has given priority to develop women leadership & committed to grow women representations in Government level also." Likewise, GEFONT Vice President and Gandaki Province MP Mina Gurung said " Unified women movement can achieve meaningful women representation in all three tier of government." In the gathering GEFONT Secretary General Janak Choudhari has congratulated the newly elected committee and wished for successful tenure. The programme was conducted by Province Secretary Lila Bahadur Chhetri and welcomed by In Charge Pampha Pahari.